It’s the month of Ramadan and we have been posting Ramadan recipes on our YouTube Channel to celebrate this holy month. While our last recipe was a soothing mocktail Virgin Pina Colada, this week we decided to share a one-pot wholesome meal that will keep you full for a longer time. One of the aspects of food blogging that I admire the most is designing the recipes as per the change in seasons and the festivals. India is a land of festivals. Festivals are the medium which brings us all together despite the diversity and the differences that exists in our society. While our Muslim friends celebrate Ramadan, I would want to join them in the feast with this recipe. There are quite a few more exciting recipes that are in pipeline that I will post until Eid al-Fitr. 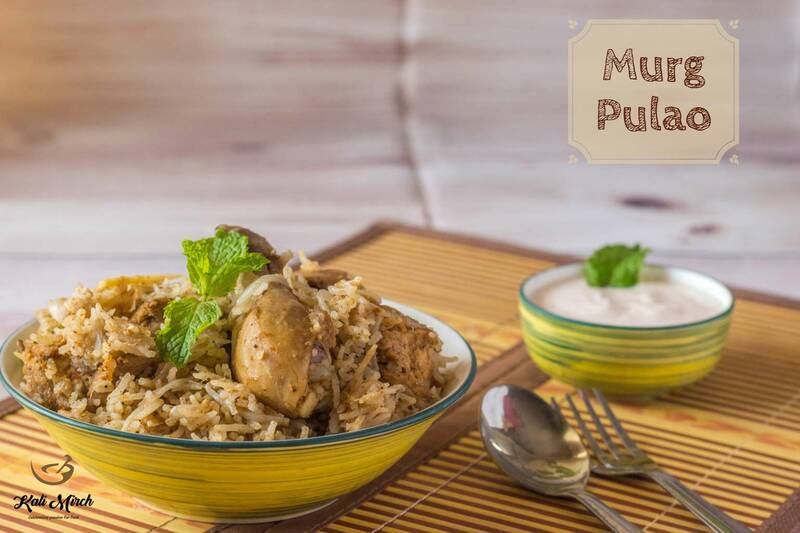 Make this Chicken Pulao for your dinner and remember to share your experiences with us in comment section below. Let’s go through this delicious Chicken Pulao. We will make a masala paste for marination of chicken. In a grinder jar, add Onion Cubes. Remember, we are using Onions in two forms in this recipe-sliced and cubed. For Masala paste, put Onion cubes. Add Cloves, Black Peppercorns, Seeds of Black Cardamom, Green Cardamom, dry Red Chilies, Fennel Seeds, Cumin Seeds, Cinnamon stick, some Salt. Add Water and grind into a fine paste. Remove Chicken after 5 mins. Chicken releases enough juices. Rice cooked in these juices is so flavorful. Add rice in Casserole. Drain excess water from soaked rice and mix well.